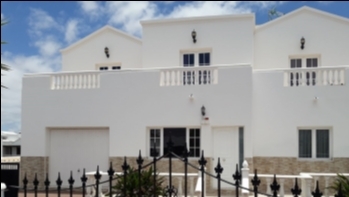 You are here: HOME / PROPERTIES / Your search / 2 Bedroom apartment only 50 metres from the beach in Puerto del Carmen! 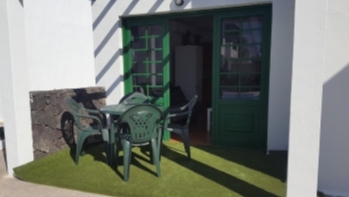 2 Bedroom apartment only 50 metres from the beach in Puerto del Carmen! 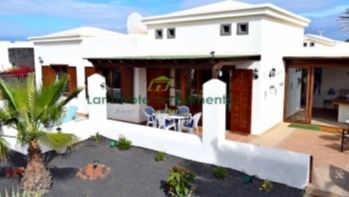 Beautiful apartment for sale in a well maintained complex with a unique location next to the popular Los Pocillos beach in Puerto del Carmen. 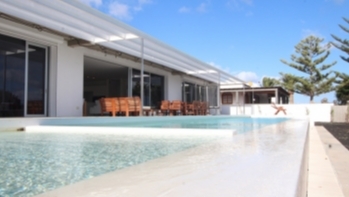 The complex features lovely sun bathing terraces, a heated pool and direct access to the beach. The ground floor apartment has 2 spacious bedrooms with built in wardrobes, en suite bathroom and another WC. The open plan lounge/ diner is bright, spacious and the separate kitchen is fully fitted. From the living room, patio doors open to the terrace with views of the sea and well maintained mature gardens. Don´t miss out on this great opportunity to buy an apartment right on the beach!